Kaleena joined GRSM in June 2013. She graduated with her Master of Science degree in Physiotherapy from Queen’s University in 2008. Prior to that she completed a Bachelor of Science degree in Kinesiology with the Health Professions option at theUniversityofWaterlooin 2006. Since graduating Kaleena has worked in a multi-disciplinary clinic environment treating various patient populations and injuries. Kaleena has completed her Kinesio Taping training and is a Certified Kinesio Taping Practitioner. 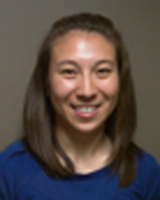 She is continuing her post-graduate education and certification focusing on manual therapy and acupuncture. Kaleena grew up in Kitchener-Waterloo and continues to stay involved in the community through coaching minor boys and girls hockey. She is an avid sports fan and keeps active by playing hockey, soccer and volleyball recreationally.